I’ve decided to cover a topic that is near and dear to my heart. FOOD. Or rather food addiction. Anyone who has met me (or follows me on twitter or instagram) knows that I have a thing for food. By thing, I mean I am completely and unabashedly in love with food. Aside from certain dietary restrictions I pretty much face plant into any type of food. Food addiction is a fascinating topic, in that it spans (in one form or another), neuroscience, biology, chemistry, sociology, psychology and anthropology. The common questions asked are: is there really such a thing as a food addict? Are food addicts a construct of the western society? Are the chemicals involved in food addictions mirror chemicals of other addictive substances? Would we expect a classification in a forthcoming version of the Diagnostic and Statistical Manual of Mental Disorders (known as the DSM-some roman numeral)? Naturally the question that I’m interested in is does our neurobiology of food addiction mirror that of drug addiction? Food consumption involves fascinating, at times convoluted, relationships between the peripheral nervous system (hormones secreted from your gut/fat cells, such as ghrelin and leptin) and the brain (each brain area has its own individualistic response). Therefore once you ingest a food, say a cookie, the sugar in the cookie illicit a spike in glucose within the periphery which then causes the release of opioids and dopamine (this is a grossly simplistic explanation). Literature has shown that chronic or unpredictable ingestion of sugar can lead to behaviours and neurochemical changes that are paralleled to those seen in drug addictions. Basic behavioural neuroscience research (ie. the kind that uses animal models) has been used to further understand the similarities in the biological mechanisms between drug addiction and food addiction. Much like it is impossible to look at drug addiction from just a neurological point of view; food addiction must take into account dependent behavior and withdrawal symptoms. From the get go we know that different drugs illicit different biological changes and withdrawal symptoms.In parallel, we know that we all crave and respond and are motivated to seek out foods differently. I will fight a bear for a chocolate bar, you may do so for a donut. As you can imagine, this can and does get messy. Before we delve into the specificity of food addiction, we need to talk about the mechanisms that underlie drug addiction. An “addict” is someone who has become physically and mentally dependent on a substance of abuse. This substance can fall anywhere between prescribed narcotics to smoking to crack cocaine. Thanks to T.V. shows (reality TV anyone? ), movies & Dr.Phil we are all familiar with the physiological, psychological and social consequences of the drug addiction. It has the potential to hijack ones life and run it to the ground. Drugs of abuse actually do the same within the brain, they hijack your biological pathways that are responsible for the regulation of reward, motivation, decision-making, learning & memory. 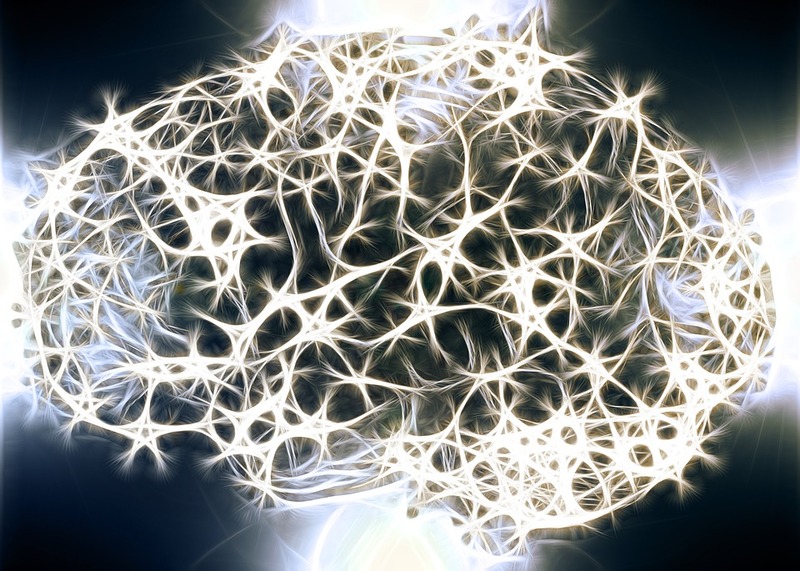 There are a number of different neural networks that are involved in different aspects of drug addiction they include the dopaminergic, serotonergic, opoid, and gabergic systems. The two systems that are at the forefront of food addiction are the dopaminergic system and the opioid system. The one I will be talking about today is the dopaminergic system, simply cause I love dopamine (who doesn’t really?!? ), there’s a lot of research already done (read: less work for me) AND more importantly its probably the world’s most famous neurotransmitter ;). Seriously though, dopaminergic pathways project throughout the brain and interact with the other systems mentioned about. So it’s kinda central to everything addiction related. The dopaminergic pathways (DA) in the midbrain (also known as the ‘reward’ pathways) are responsible motivating food consumption, reinforcement AND for the feelings of pleasure that are associated with eating (SIDE: those who derive no pleasure from eating…WHO ARE YOU?!?!?! You hurt my heart). The DA pathways can respond to food stimuli even when the body has been signaling that is satiated, causing food intake to morph from necessity for metabolic homeostasis to hedonic. SIDE: It is important to note that the dopaminergic system is mediated by 5 distinct receptor types, all of which have independent functions. Therefore when I mention agonists or antagonist of DA they are usually administered to be specific to one or two of these receptors, dependent on what the researcher is looking at. Researchers have found that the manipulation of food intake via the dopamine system was dependent on where dopamine agoinist (a drug which activates DA receptors)/antagonist (blocks DA receptors) were injected & there respective dose. They’ve also found that obese individuals have lower levels of DA receptors,that is they are less responsive to pleasure stimuli. This loss of pleasure may in turn cause those individuals to compensate, by excessive palatable food intake. Therefore the argument being made by some researchers is that obese or overweight individuals may suffer from food addictions and that “normal” “healthy weight” individuals do not (or at least should not). So can food be addictive, or as the DSM frames it , can an individual develop food dependancy? Based on the research,the answer would be yes, when looking at certain criteria pertaining to certain individuals responding to certain foods/stimuli. It’s a thoroughly fascinating topic. I will be combing thorough the research surrounding food engineering and our response to it. Hopefully I can get something up for you guys in the coming weeks! P.S. I’ll be blogging at Scientopia on Tuesday’s in the next couple of weeks!